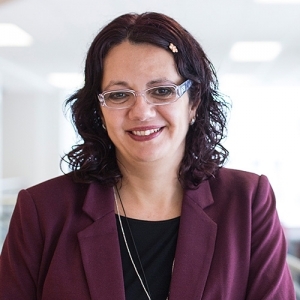 Luciara Nardon is an Associate Professor of International Business at the Sprott School of Business, and Director of the Centre for Research and Education on Women and Work (CREWW) at Carleton University. She obtained her PhD in International Management and Strategy at the University of Oregon in 2005. Luciara’s research explores cultural and cognitive influences on work in multicultural environments. She is the recipient of a Carleton Research Award (2018) focusing on newcomers’ career advancement, a SSHRC Insight Development Grant (2016) focusing on refugee workforce integration, and a SSHRC Knowledge Synthesis Grant (2016) focusing on socio-cognitive influences on technological innovation, adoption and use. She has published several academic articles, is the author of Working in a Multicultural World (University of Toronto Press, 2017) and the co-author of two books, Managing in the Global Economy (with Richard M. Steers, Sharpe, 2006), and Managing Across Cultures (with Richard M. Steers and Carlos Sanchez-Runde, Cambridge, 2010, 2013, 2016). She is a member of the editorial board of the Journal of World Business. She has taught graduate and undergraduate courses focusing on international management in Belgium, Brazil, Canada, China, Colombia, Denmark, and the United States. Prior to her academic career, Luciara worked as a director of control systems and strategic planning for a Portuguese multinational in Brazil. She is involved in volunteer activities with the settlement sector in Ottawa, and actively involved in mentoring and coaching newcomers to Canada.